Motorized gantry crane runs on the ground instead of an overhead runway, thus it can be utilized in almost all kinds of indoor and outdoor places, such as machine shop, warehouse, construction site, railroad, dock and port. The motorized gantry crane is generally powered by electricity, and compared with manual gantry crane, it can greatly improve efficiency and productivity of your plants or production lines. 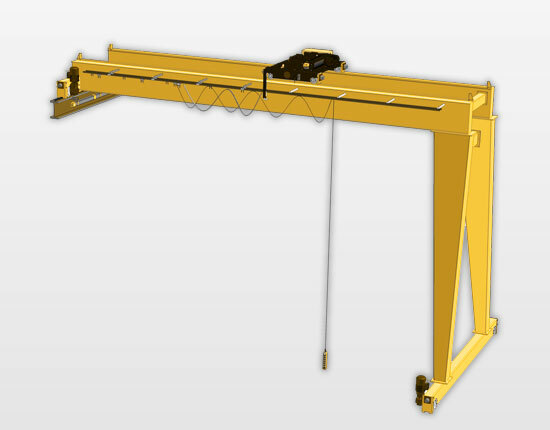 Our motorized gantry cranes are fabricated into many different types and models to handle medium to heavy loads. According to the girder construction, it can be divided into single girder and double girder gantry crane. As a professional lifting machine supplier, we are responsible for providing an economical lifting solution for your needs. If your facility is insufficient to support an overhead lifting system, a gantry crane is a perfect solution. The gantry cranes produced by Ellsen fall in varied types, from which you can find one that best suits your needs. MH single girder gantry crane: it is a cost-efficient material handling solution for small to medium loads. The lifting capacity can reach up to 16 ton. 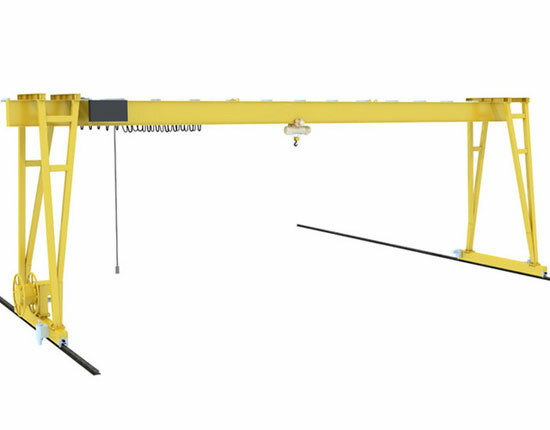 As a typical gantry crane, it cannot be used in hazardous environments, such as flammable or explosive conditions. 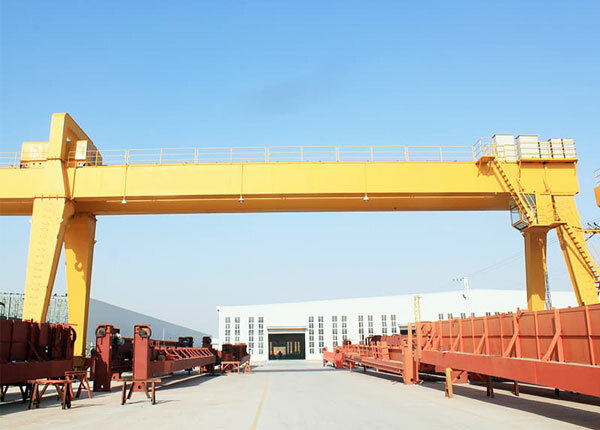 BMH semi gantry crane: it is a variation of MH single girder gantry crane. Due to the limitation of your facility space, it may be not sufficient to support a full gantry crane. The semi gantry crane, by riding on an overhead runway on one side and traveling on the floor on the other side, will save the work space to the greatest extent. MG double girder gantry crane: it is a powerful gantry lifting equipment for larger and heavier loads up to 200 ton. According to the gantry frame construction, it can be classified into A frame gantry crane and U frame gantry crane. The double girder cranes can be employed in a variety of small to heavy industries, such as workshop of manufacturing, repairing or assembly lines, metallurgy, construction and marine. BMG semi gantry crane: it is a more stronger lifting solution in contrast to single girder semi gantry crane. This powered gantry crane is capable of lifting heavy loads ranging from 5 ton to 100 ton and beyond. We also offer truss gantry crane, cantilever gantry crane, mobile gantry crane and container gantry crane options to meet your any lifting need. In addition, the motorized gantry crane can be manufactured in accordance with European standard, making it more advanced than other traditional gantry cranes. For your special applications, we are capable of providing custom design. We aim to provide a versatile and affordable solution to make your lifting of heavy items easy and fast. If you are unsure as to if a motorized gantry crane is the most economical solution for your facility, there are several factors for you to consider so as to make the best purchase. If you rent your facility or have the plan to relocate, the gantry crane can be a cost-efficient solution for your company as it costs less to relocate a gantry lifting system than an overhead crane system. If a more flexible lifting movement is required. 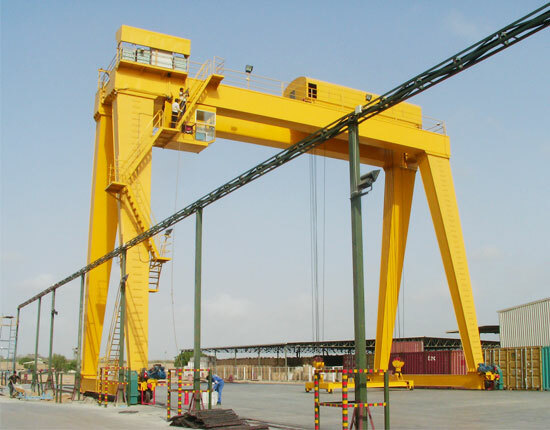 For example, you need to lift and move loads freely in your facility or move from inside to outside of your building, the gantry crane will be a perfect choice. If your material handling process is all done outside your building, gantry crane can best meet your needs. If your require a long runway, the gantry crane system will be a reasonable and practical solution. To know which type of motorized gantry crane is proper for your applications, contact our sales team now. We will offer the most cost-effective lifting solution and bring maximum value for your businesses. 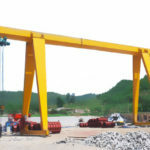 Why Should You Invest In Motorized Gantry Crane? The installation of it is often quick and easy for that it does not need any overhead runway system. Our motorized gantry crane can provide precise load positioning and bring high efficiency to your material handling jobs. It has easy operation, and we offer pendant control, wireless remote control and cabin control options. This electric gantry crane is regarded as a safe way to lift and move your heavy materials thanks to its robust construction and the adoption of several protection devices. It can achieve easy and convenient installation and relocation. The modular design also makes it easy to transport. Motorized gantry crane with different configurations and specifications covers a wide range of applications. 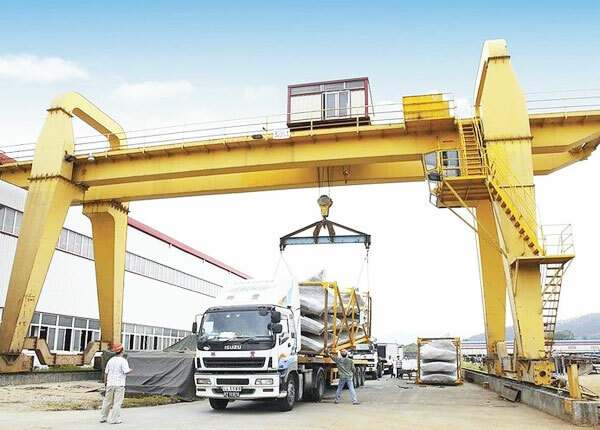 According to the load carrying capacity, the gantry crane will adopt either single girder or double girder design. The single girder crane is usually used in light duty applications, whereas double girder type is ideal for heavy duty lifting applications. Manufacturing industry: gantry crane is common in many workshops, warehouses and stock yards for both lightweight and heavy machinery lifting and moving. This industrial gantry crane can be applied in varied manufacturing, repairing and assembly lines. Shipbuilding industry: it is also a perfect solution for shipyards to handle large and heavy loads. 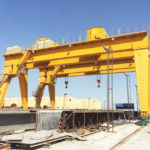 The shipyard gantry crane has the capability to lift and move large ship hulls which are going to be built or repaired. Container depots: the container gantry crane is a perfect solution for handling the stack of containers in railroad terminals, quays and ports. Steel mill plants: the motorized gantry crane can also be specially designed to lift and move liquid steel ladle in steel mill and recovery plants. 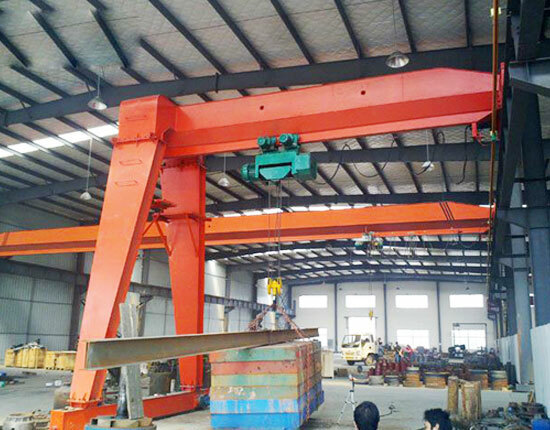 When looking for a gantry lifting system, it is very important for you to choose a reliable and reputable manufacturer and supplier as it is not only highly related to your gantry crane quality and cost, but to the follow-up service. When selecting crane suppliers, you need to know about their industrial experience, qualification, authentication and things like that. Ellsen is a professional gantry crane manufacturer as well as a service provider, and has been engaged in material handling industry for over 10 years. With perfect sales team, technical team and skilled workers in our factory, we always provide quality products and best services for our clients. If you would like to purchase a motorized gantry crane for your applications, contact us now or fill in the contact form below. We will reply to you as quickly as possible!